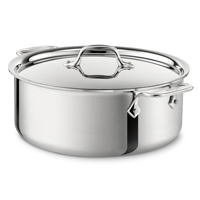 All-Clad Cookware is the undisputed choice in four-star kitchens throughout the world. Why? Excellent heat conduction, impeccable balance, meticulous hand-finishing and construction warranted to last a lifetime! 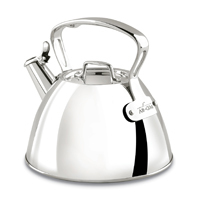 You'll appreciate how easy All-Clad is to handle thanks to ergonomically designed handles. Rolled edges on each pan also make it easy for you to pour. 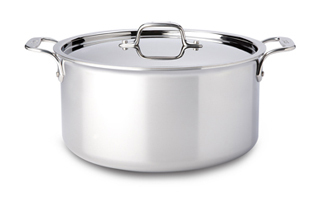 Click here to compare All-Clad cookware styles. 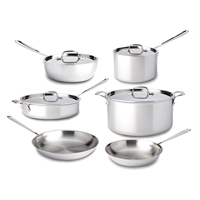 All-Clad Cookware Sets are the standard when it comes to cookware. 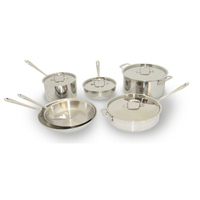 Start your cookware collection with one of these great sets from All-Clad. 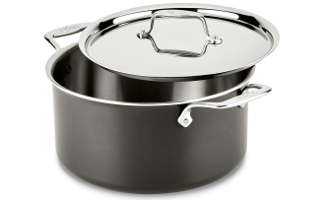 All-Clad d3 Tri-Ply Stainless Steel cookware has an easy to hold handle and is made in the USA, including lids! 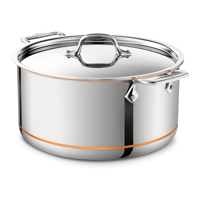 Its magnetic stainless exterior and aluminum core heats quickly. Tri ply also works on induction cooktops. 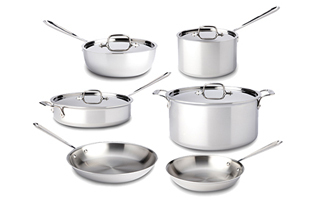 With All-Clad D5 Brushed Stainless Steel cookware, you can enjoy even, fast and reliable cooking performance. 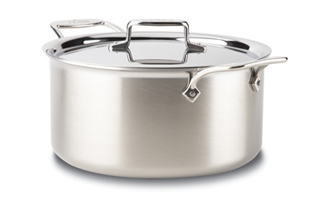 The brushed exterior surface of All-Clad D5 helps your pans look great even after years of use! Lifetime guarantee too. All-Clad Copper Core has a copper core for maximum heat conductivity and a rolled edge rim for dripless pouring. All-Clad Copper-Core has an 18/10 stainless steel cooking surface. Stock up on All-Clad with these specially priced items for $99.95 and less. 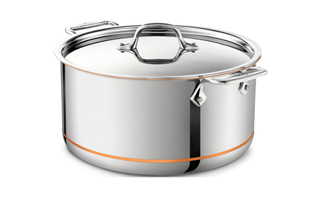 Not sure which style of All-Clad cookware to buy? Compare the different styles with the All-Clad Style Guide. Not sure which lid to buy? 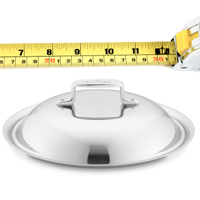 Check out the All-Clad Lid Guide? 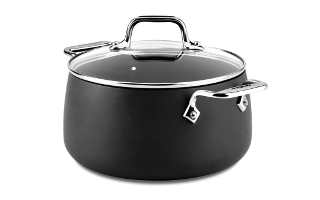 All-Clad has introduced a new line of specialty cookware including the All-Clad Slow Cooker and All-Clad Asparagus Pot. 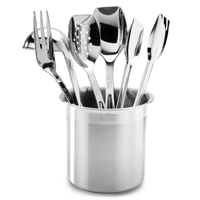 All-Clad gourmet accessories will satisfy all your cooking needs. 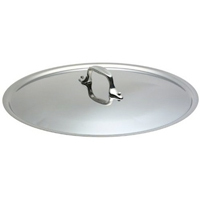 Available in Single and Double Burner Grille Pans. These grille pans have raised ridges that sear the meat and provide an outdoor grilled appearance. A nonstick surface makes it possible to cook with little or no oil, and is very easy to clean. 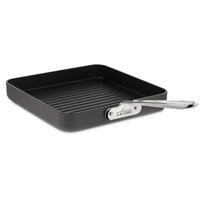 Available in Single and Double Burner Griddle Pans. 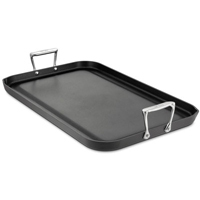 A flat surface pan such as this is necessary for preparing pancakes, french toast, and grilled cheese sandwiches. With the steamer inserts you can steam vegetables. 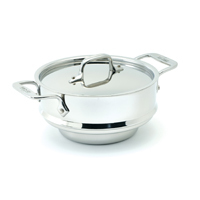 Use the Double boiler insert to prepare foods that must be cooked at low temperatures, such as Hollandaise sauce. Using the Pasta Insert allows you to drain pasta quickly. These inserts fit various size All-Clad pans. 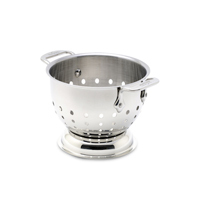 The stainless steel Colander comes in a 5-quart size. 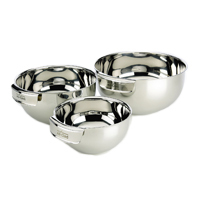 Stainless steel mixing bowls with easy to hold handles. Choose from 1-quart to 7-quart sizes. 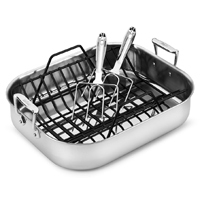 These professional-quality tools compliment All-Clad's superior line of cookware. 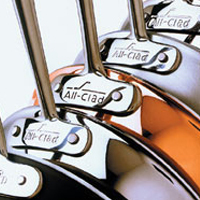 They are crafted with 18/10 stainless steel for excellent performance and durability. 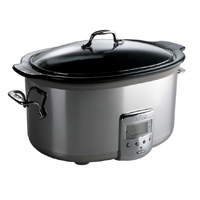 Choose from the All Clad Slow cooker or the All Clad Electric Skillet. 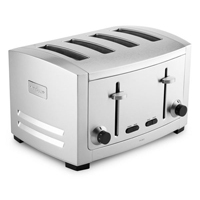 MetroKitchen will be introducing more small kitchen electrics from All Clad to make your cooking jobs easier. Expand your All-Clad collection with these great home entertaining products. 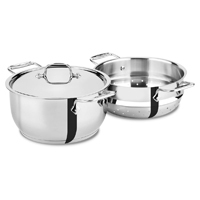 All-Clad Home Entertaining Collection includes stainless steel chafing dishes, ceramic bakers, and a ceramic double boiler set, as well as many other products. 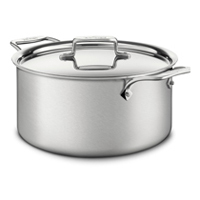 An introduction to the basic styles and design of All-Clad cookware. 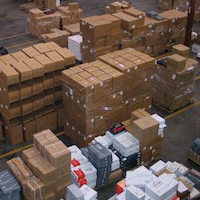 Learn where All-Clad cookware is made in Canonsburg, Pennsylvania.